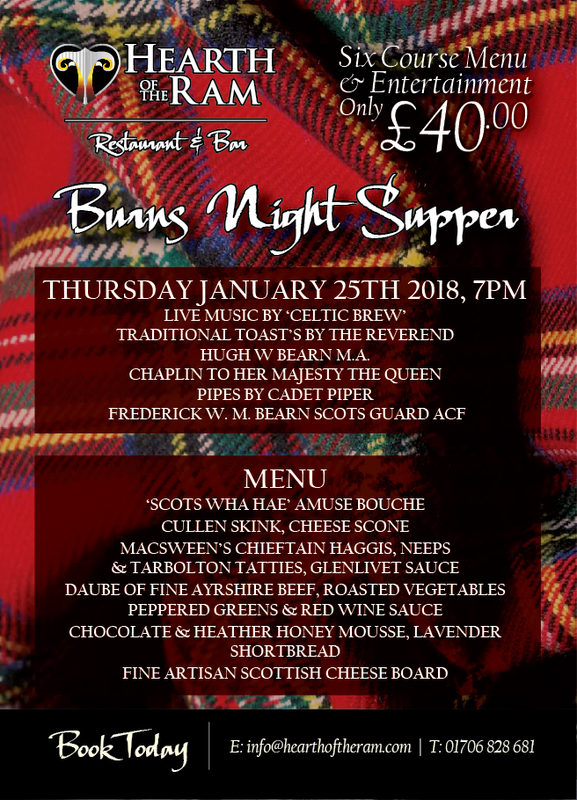 Our Annual Burns Supper is always a fantastic sold out event. This year we will be celebrating exactly on the birthday of the famous Bard, Thursday January 25th. The Reverend Hugh Bearn M.A. will host the event alongside Pipes from our resident Piper Freddie and music throughout the evening and into the early hours by Celtic Brew. Guests can enjoy our Six Course Gourmet Scots Menu and entertainment for only £40.